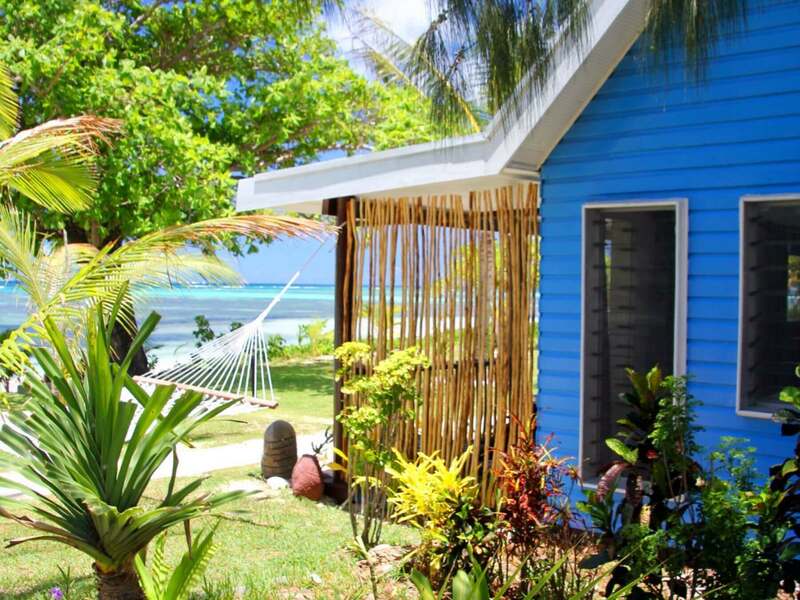 Oarsman’s Bay Lodge offers travellers flexible Fiji accommodation on rural Nacula Island. 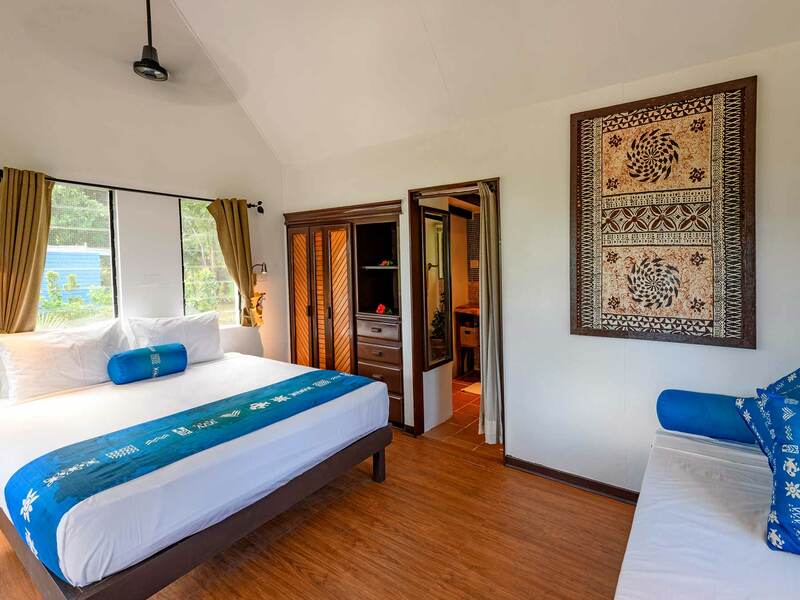 The lodge has eight recently renovated private Bures (Fijian word or house) as well as a shared dormitory for travellers seeking a budget option. 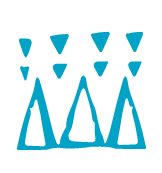 Whether you are travelling solo, as a couple, or with a group of loved ones, our accommodation options will suit every taste or budget. 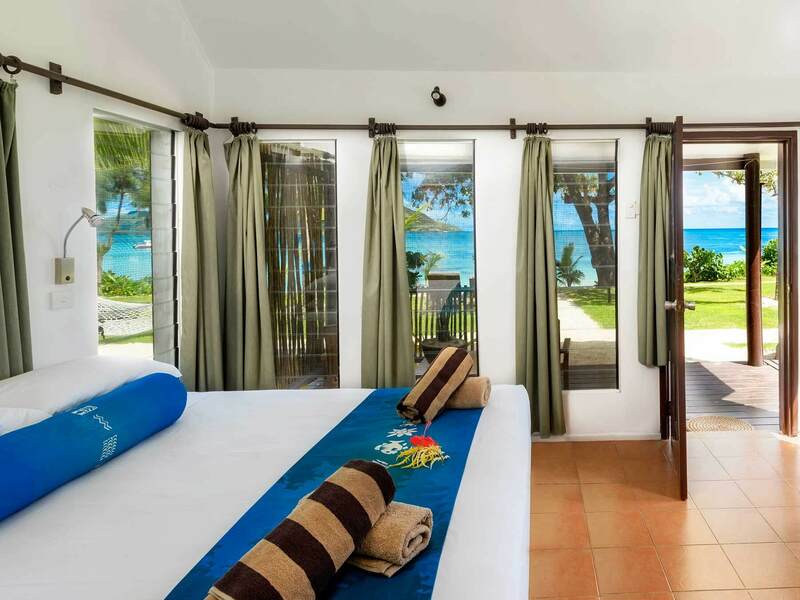 Our Deluxe Beachfront Bure is our most sought-after accommodation room option. Just a few steps to our powdery white sand beach, with absolute beach front location, you can feel the cool Fiji ocean breeze, see our spectacular Yasawa sunsets, and drift off to sleep to the sounds of the sea. Simple in design and fit-out, the Bure has a private ensuite bathroom, air-conditioning and ceiling fan. 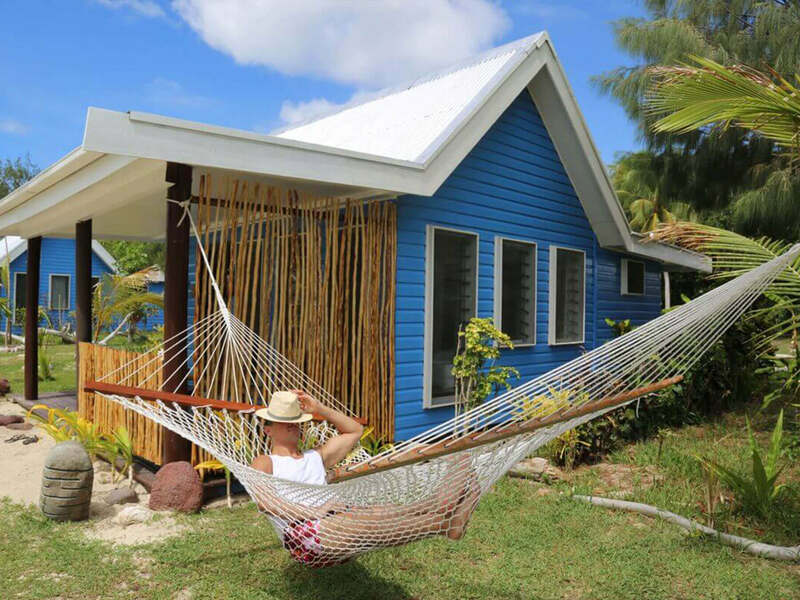 Every Bure also comes with a dedicated hammock, outdoor shower and private balcony. Please Note: bathrooms are currently being renovated. What you see are images of the new bathrooms. All bathrooms are expected to be complete by the end of June. 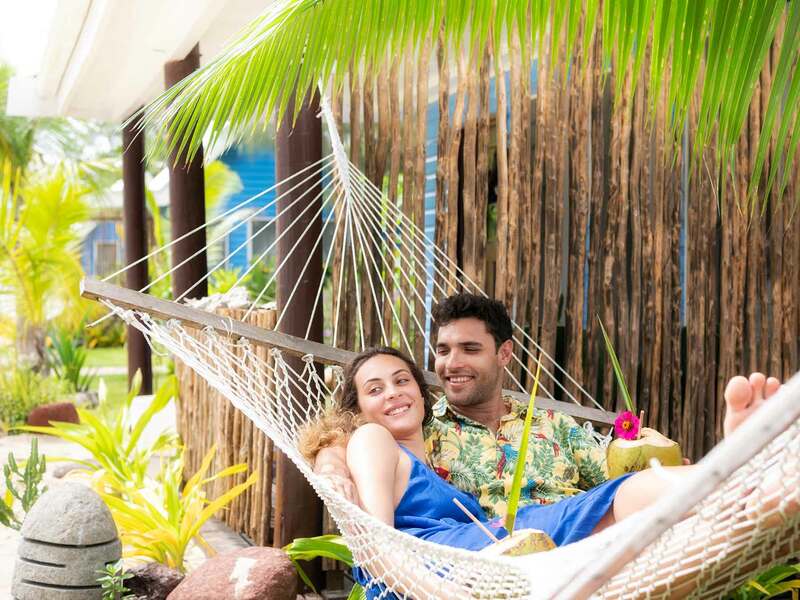 Off-set from the Beachfront Bures so you can still enjoy ocean views from your balcony, our Deluxe Ocean View Bures are nestled in a garden paradise of palms and native plants for a truly authentic Fiji island accommodation experience. Simple in design and fit-out, each Bure has a private ensuite bathroom, air-conditioning and ceiling fan. 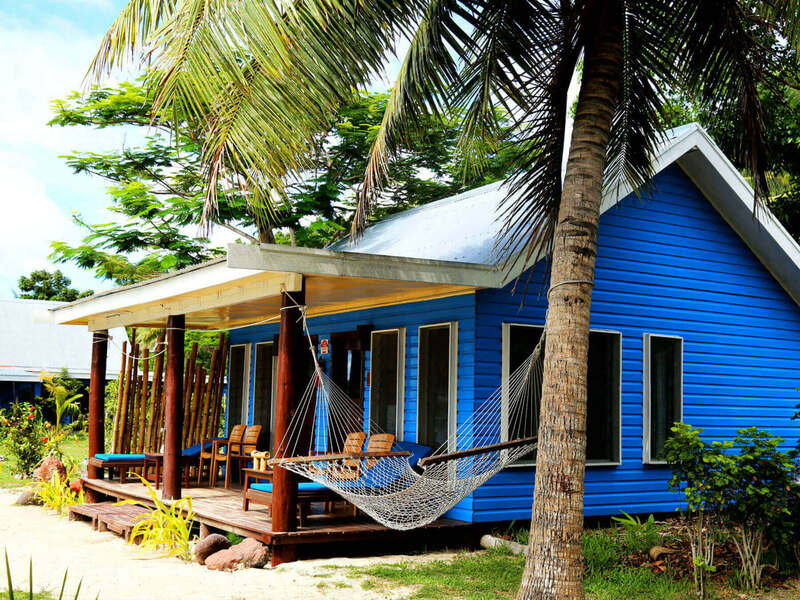 Every Bure also comes with a dedicated hammock, outdoor shower and private balcony. 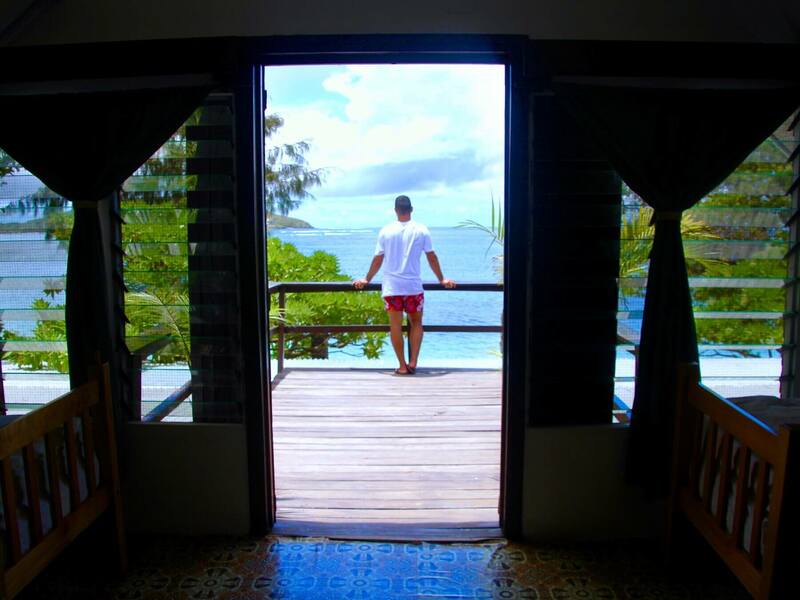 Our Deluxe Beachfront Family Bure is made up of two interconnecting rooms with shared door. 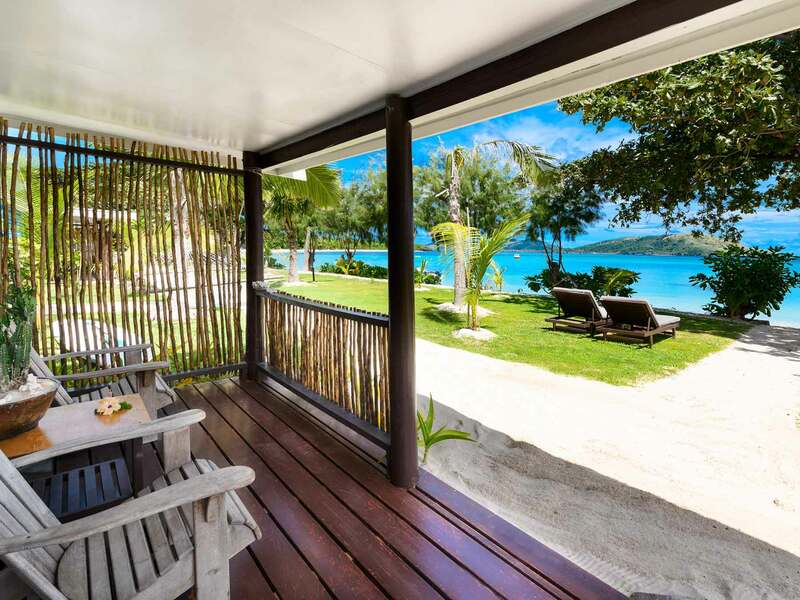 On the absolute beachfront, just steps to our powdery white sand beach, the Family Bure is the perfect Fiji accommodation option for families or groups of friends. Sleeping up to six, on two Queen beds and a double bunk bed, these rooms are a great value option. 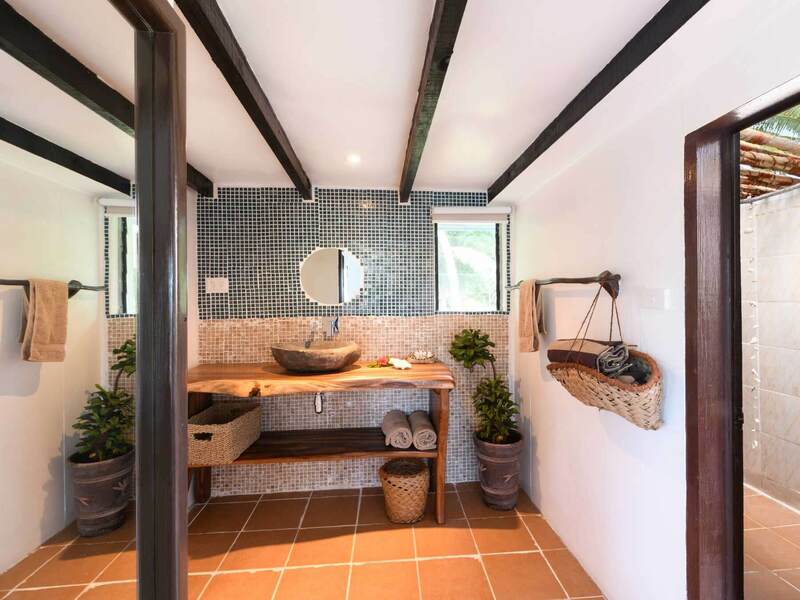 Simple in design and fit-out, each room in the Family Bure has a private ensuite bathroom, air-conditioning and ceiling fans. Your Bure also comes with a dedicated hammock and private balcony. Our fully air-conditioned dorm is built on the first floor above the main dining and bar area to capture the Fiji island sea breeze. It features a large deck that overlooks the spectacular Nalova Bay. Downstairs there are shared bathroom facilities. 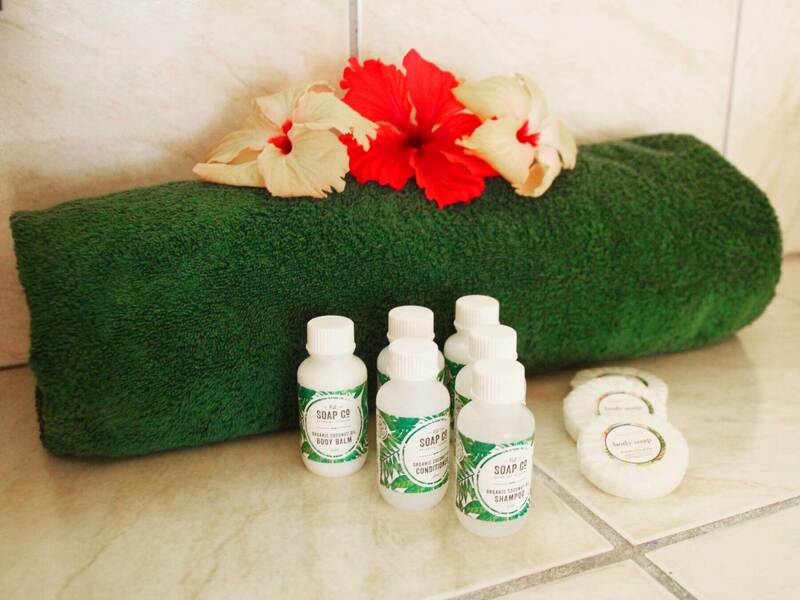 The dorms are a great option for travellers on a budget accommodation to Fiji. Bathrooms are currently being renovated. What you see are images of the new bathrooms. All bathrooms are expected to be complete by the end of June.